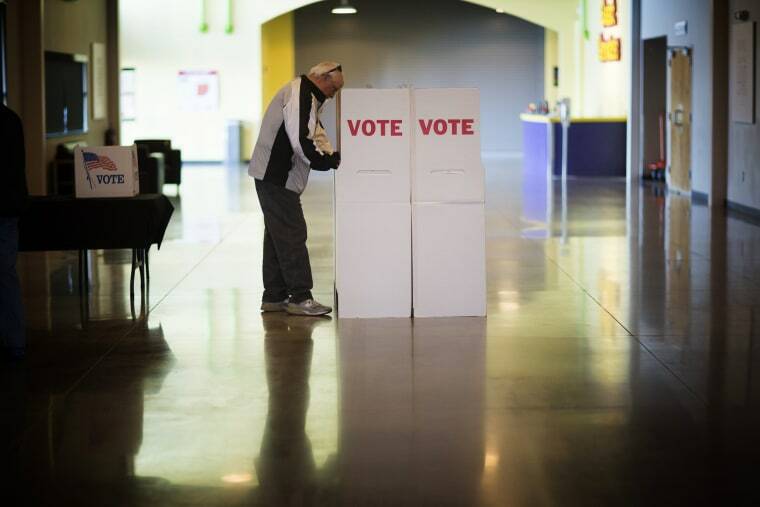 Americans in 12 states vote in Super Tuesday primaries and caucuses in what's deemed a critical day in the presidential nominating process. People cheer as Democratic presidential candidate Sen. Bernie Sanders speaks after winning the Vermont primary in Essex Junction. 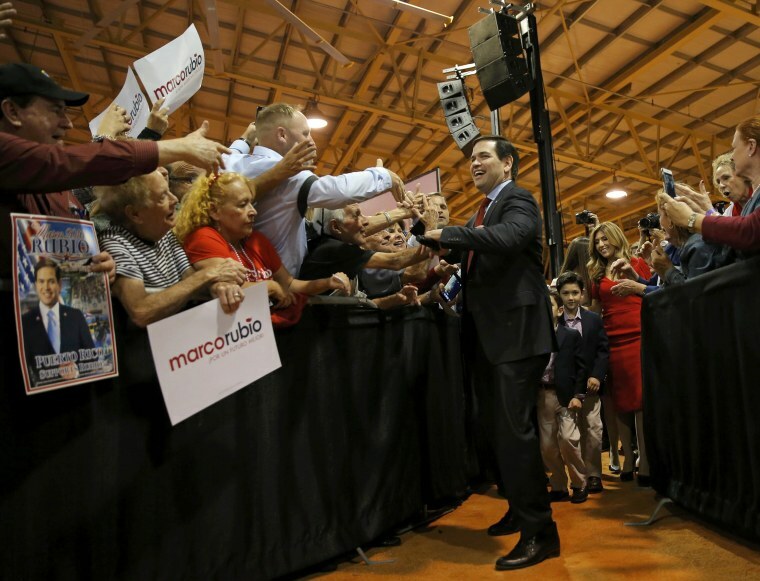 Republican presidential candidate Senator Marco Rubio arrives at a campaign rally after Super Tuesday primary and caucus voting results were announced in Miami. 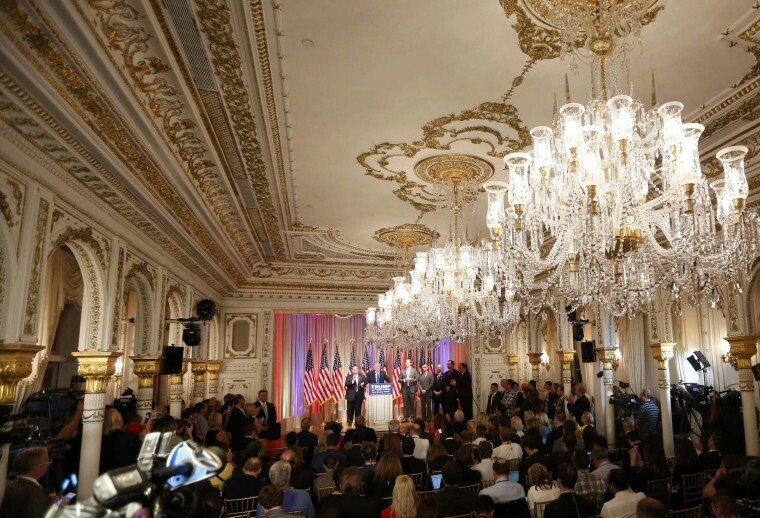 Republican presidential candidate Donald Trump (at podium) speaks about the results of Super Tuesday primary and caucus voting during a news conference in Palm Beach, Florida. 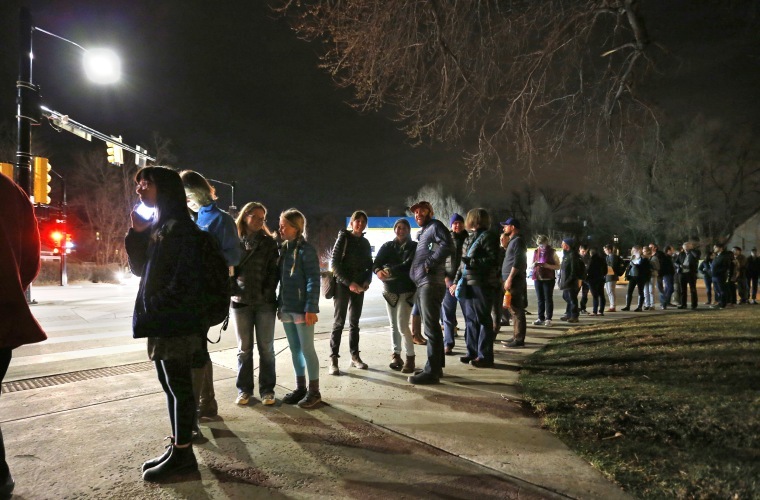 Participants line up before the start of the Democratic caucus in Boulder, Colorado. 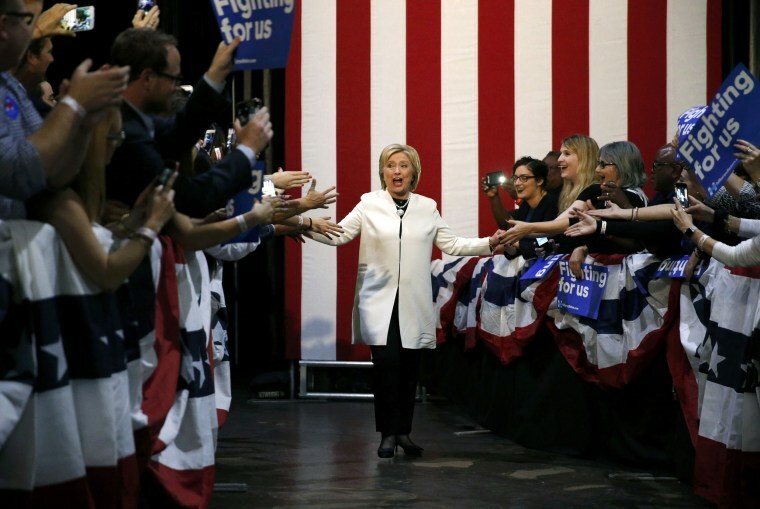 Democratic presidential candidate Hillary Clinton greets supporters as she arrives at her Super Tuesday night party in Miami. Steve Amos waits to vote with his sons at Henry W. Grady High School in Atlanta. 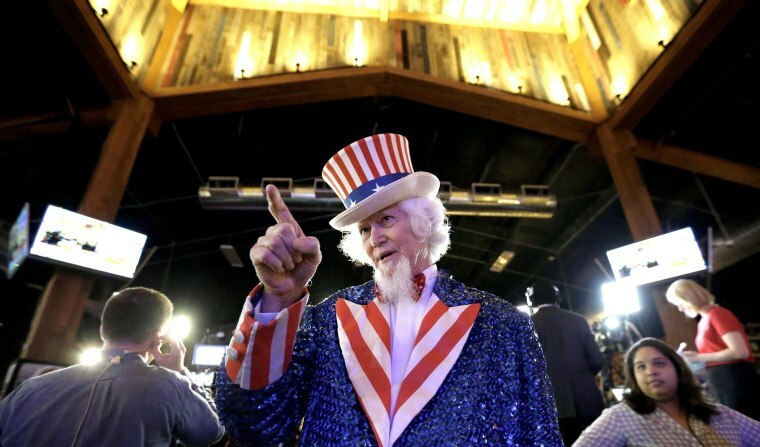 John Evans points across the room while waiting for Republican presidential candidate Sen. Ted Cruz to take the stage during an election night watch party in Stafford, Texas. 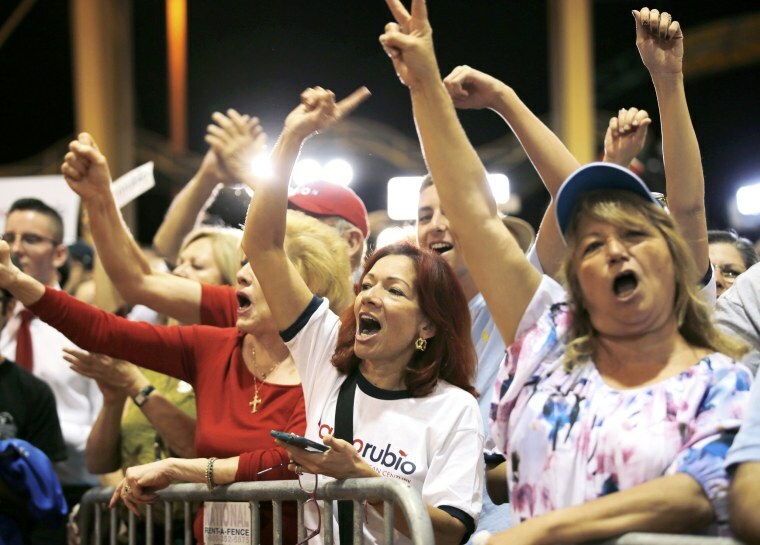 Supporters of Republican presidential candidate Senator Marco Rubio react to the Super Tuesday primary and caucus voting results at a campaign rally in Miami. 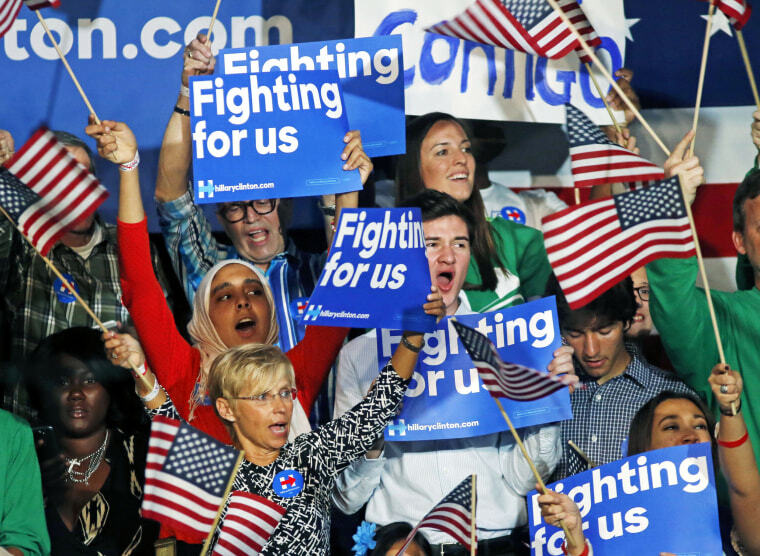 Supporters of Democratic presidential candidate Hillary Clinton cheer as they watch election returns at her Super Tuesday election night rally in Miami. Volunteer election clerk Allie Green Jr. searches for places to post voting signs outside of a Fiesta Mart supermarket, a polling location, before polls open in Austin, Texas on Tuesday, March 1. Republicans will vote in 11 states, with 595 delegates at stake. 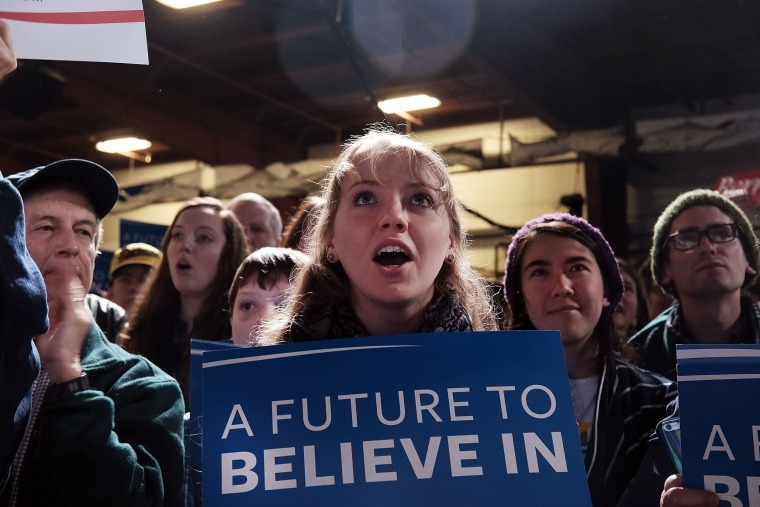 Democrats will vote in 11 states and American Samoa, with 865 delegates up for grabs. 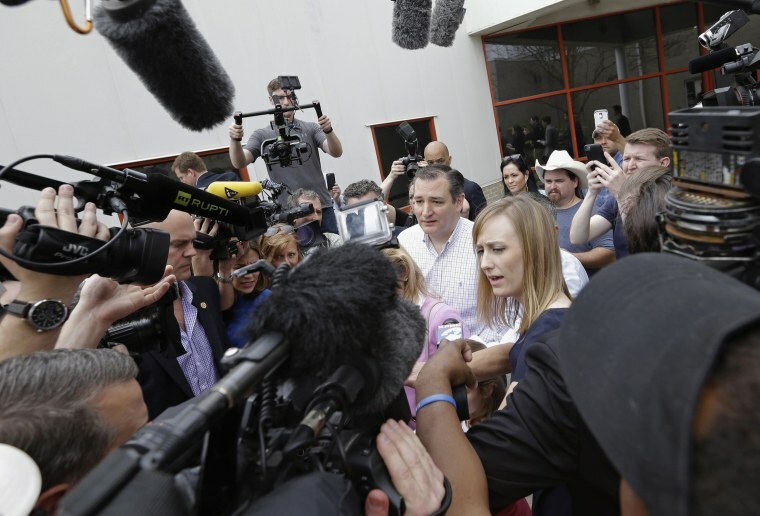 Republican presidential candidate Sen. Ted Cruz is surrounded by media before voting in the Texas primary in Houston. Patricia Stone checks people in during voting for the Vermont primary at the Robert Miller Community and Recreation Center in Burlington, Vt.
A man casts his ballot at a polling center in Edmond, Okla. on Super Tuesday. 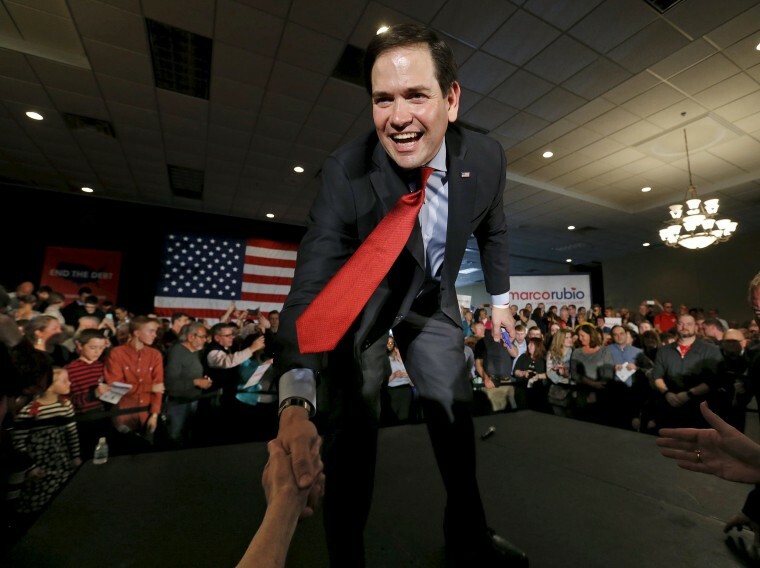 Republican presidential candidate Marco Rubio greets supporters ahead of Minnesota's caucuses in Andover. 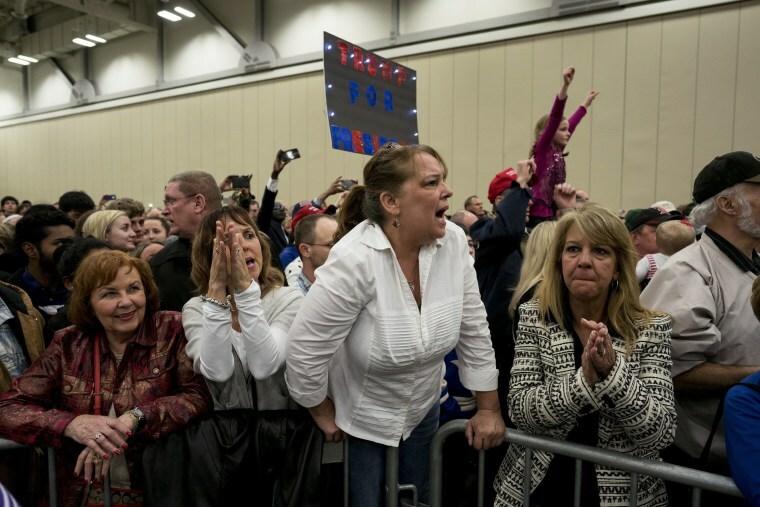 Supporters cheer as Republican presidential candidate Donald Trump speaks at the Kentucky International Convention Center in Louisville, Kentucky. Trump is campaigning nationwide on Super Tuesday, the single largest primary voting day. 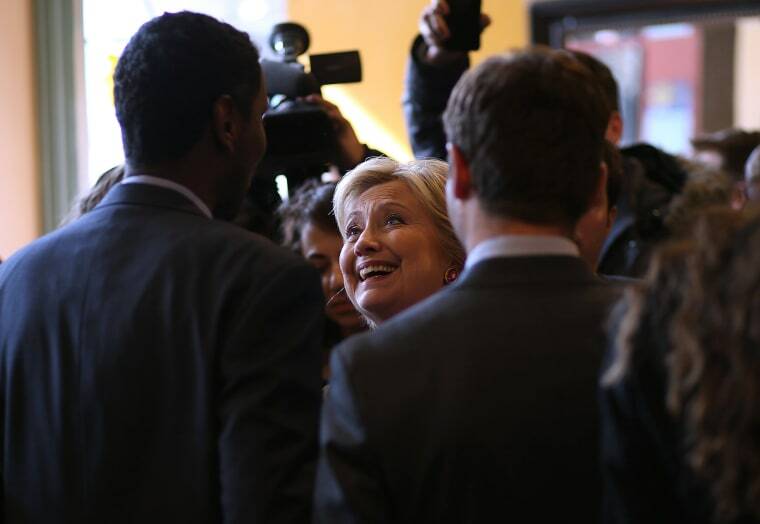 An “I Voted" sticker is worn by man who cast a ballot in the Virginia Super Tuesday primary in Washington, D.C.
Democratic presidential candidate Hillary Clinton greets patrons at Mapps Coffee in Minneapolis. 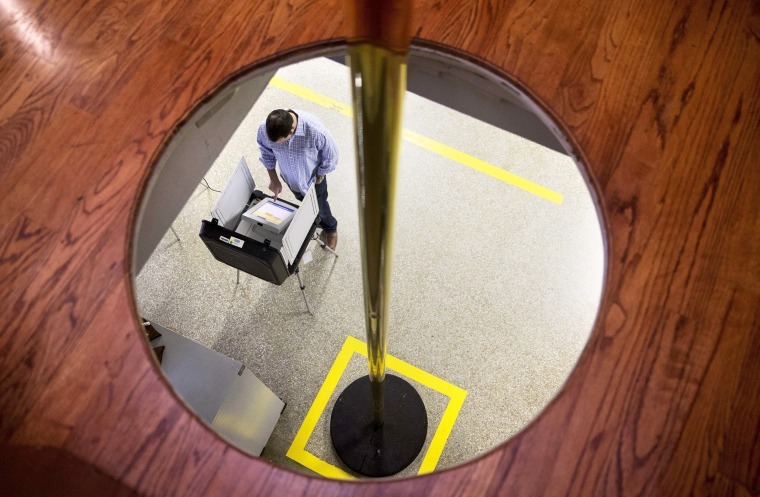 People wait in line to vote in the Virginia primary on Super Tuesday, at a polling station located at a fire station in Arlington, Va.
A voter casts a ballot in Georgia's primary election under the hole of a slide pole at a polling site in an Atlanta firehouse. Democratic presidential Sen. Bernie Sanders is hugged by a voter after voting in the Vermont primary at the Robert Miller Community and Recreation Center in Burlington on Super Tuesday. 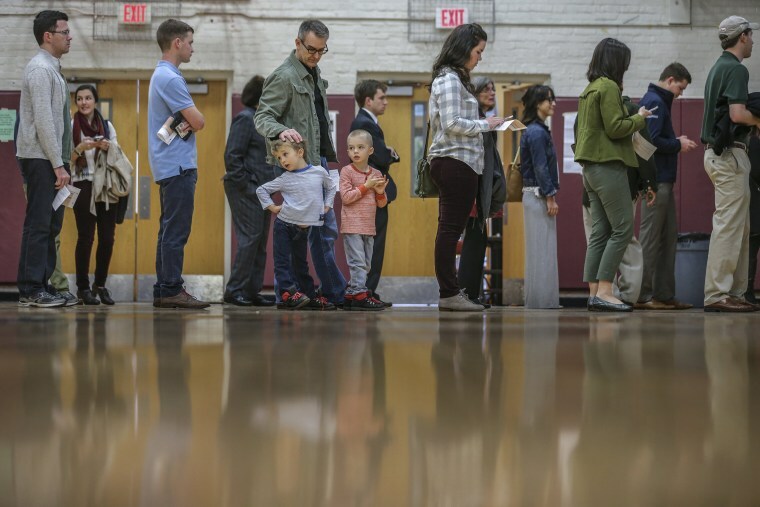 Virginia residents wait in line in the pre-dawn hours to vote in the Virginia primary at a historic property called the Hunter House at Nottoway Park in Vienna, Va. Virginia was the first state to open its polling stations at 6:00 a.m. 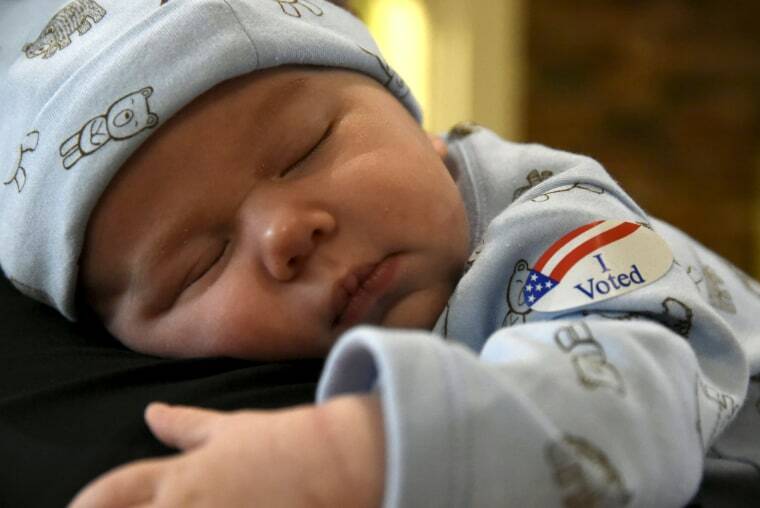 Brewer Hickman, 6 weeks old, takes a nap as his dad Nicholas Hickman votes at the North Park Mall on Super Tuesday in Oklahoma City. Tameika Ogburn, a polling site assistant manager, prepares voting machines before a voting location opens for Georgia's primary in Atlanta. 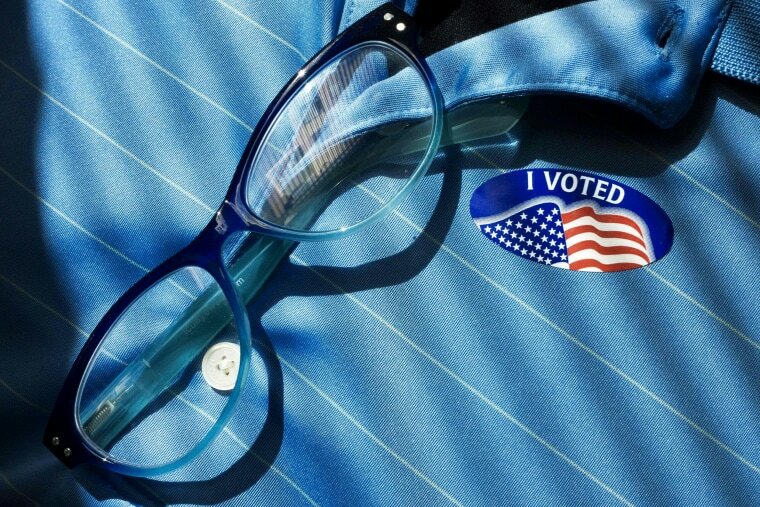 A voter leaves a polling station for Massachusetts' primary election in the East Boston neighborhood of Boston.